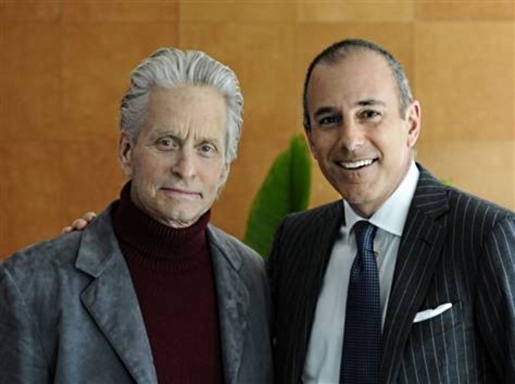 Actor Michael Douglas was shocked when he discovered he was diagnosed with throat cancer. Stage IV throat cancer, no less. However, that’s fairly common when dealing with throat cancer, as the only real symptom is difficult swallowing. However, given throat cancer and the advances in throat cancer treatment, the prognosis is good no matter when it is discovered. Michael Douglas has announced that he is now cancer-free. Glad to hear it! While no one’s sure what sort of cancer Douglas had, it is widely believed to be cancer caused by human papillomavirus, or HPV, which is the cause of most cervical cancers. HPV tumors make up about 40-45 percent of all throat cancers. While being cancer-free for now is great; Douglas can’t breathe easy until his third year. By the third year, if cancer is going to recur, it has already come back with 90-99 percent certainty. This is as good a reason as any to vaccinate everyone for HPV, not just women. Cancer is cancer, and vaccines that can prevent cancer should be used. Fortunately for Douglas, his cancer did not spread elsewhere; Roger Ebert and my grandmother were not so lucky. Still, any cancer survivor deserves our best wishes. Good luck, Michael.